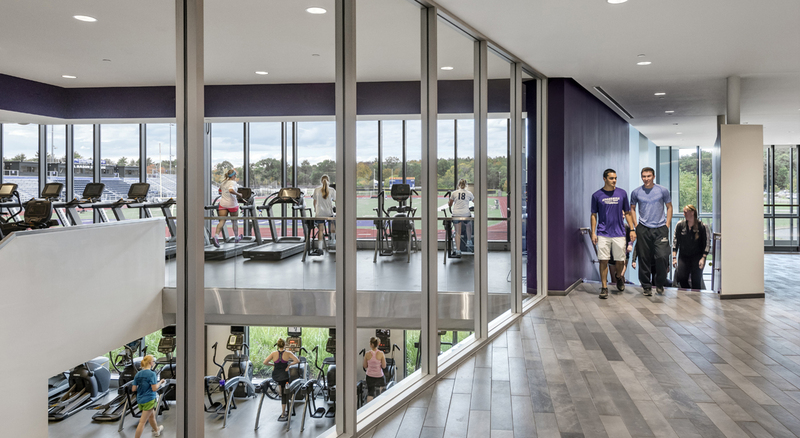 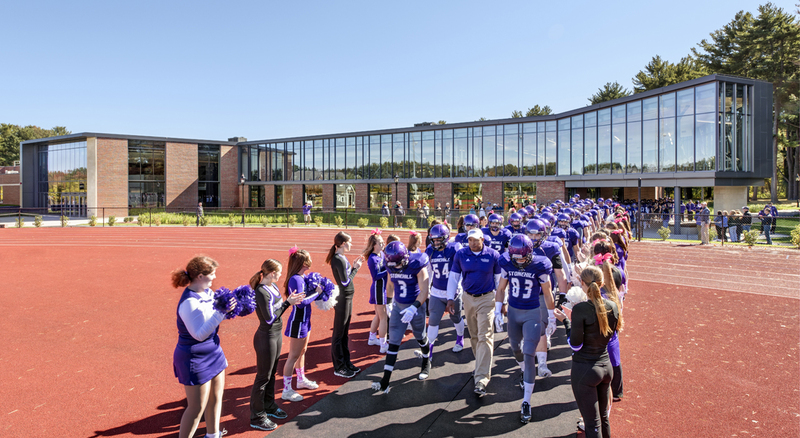 Due to an increase in student population, Stonehill College needed to expand its sports and recreational facility to provide additional space for its athletic programs. 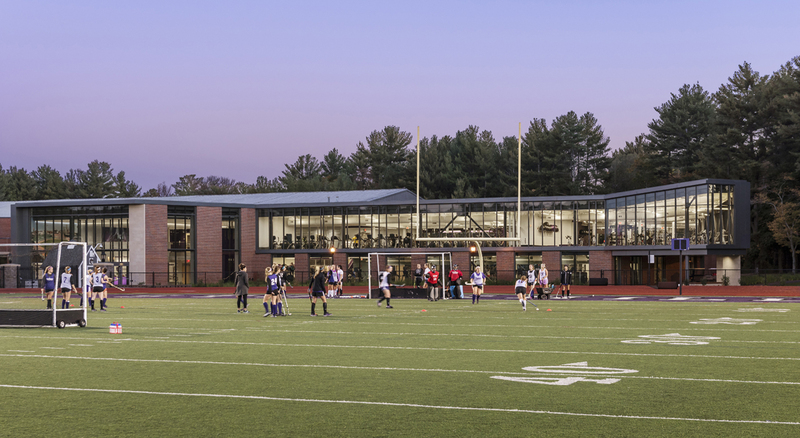 To facilitate this expansion, BOND was engaged to provide preconstruction and construction management services for a major renovation and expansion of the College’s Sally Blair Ames (SBA) Sports Complex, originally built in 1988. 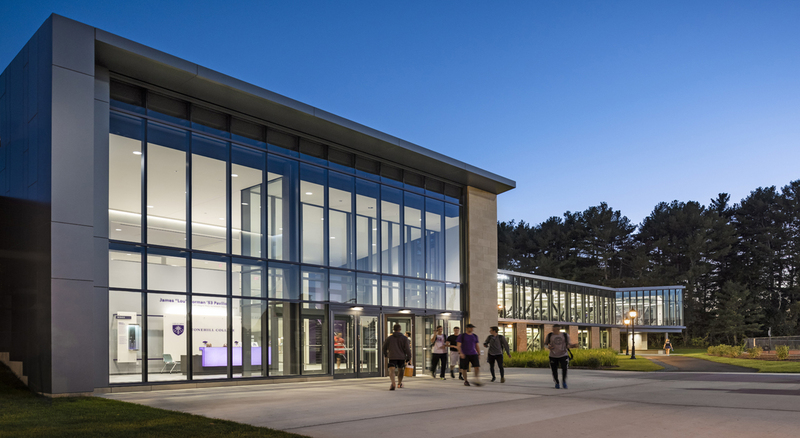 The project includes the 50,000 SF addition of the Rev. 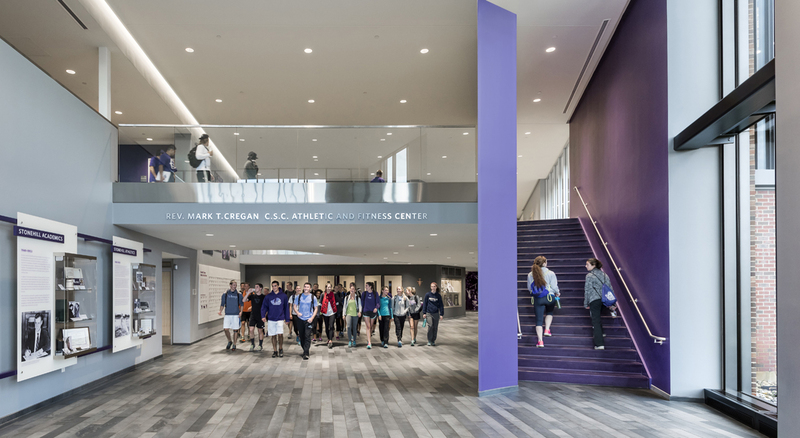 Mark T. Cregan, C.S.C. 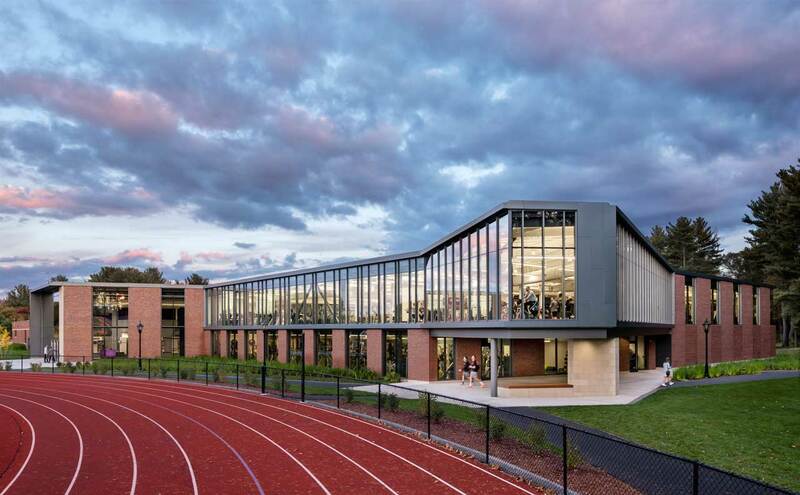 Athletics and Fitness Center along with the 24,000 SF renovation of the SBA Complex. 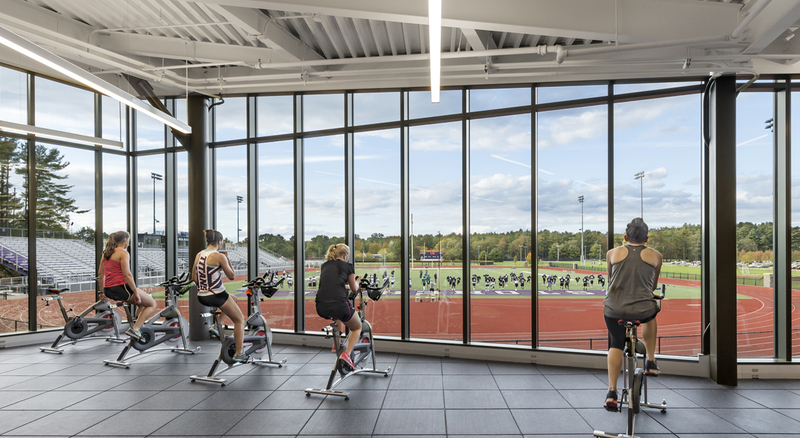 The comprehensive facility provides room for recreational group exercise and dance areas, as well as weight and fitness facilities and locker rooms. 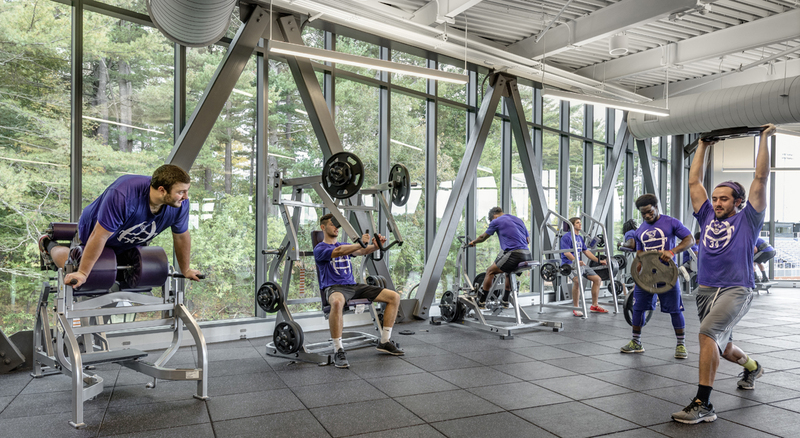 Training and office space for Stonehill’s field hockey, lacrosse, soccer, baseball and football teams occupies the addition’s first floor. 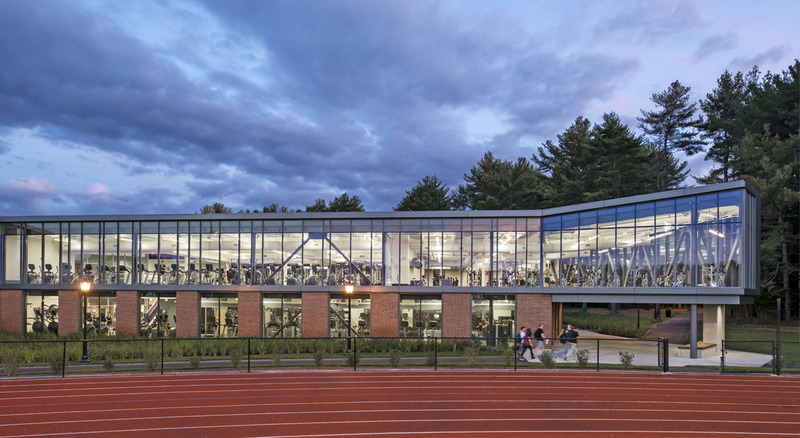 The facility also houses the Lou Gorman Pavilion, named for a Stonehill alumnus and former Red Sox General Manager. 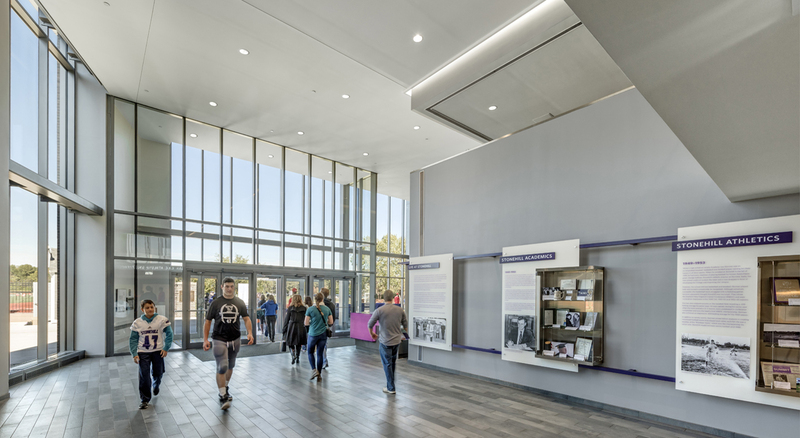 The Pavilion contains exhibition space showcasing sports memorabilia donated by Gorman to his alma mater.